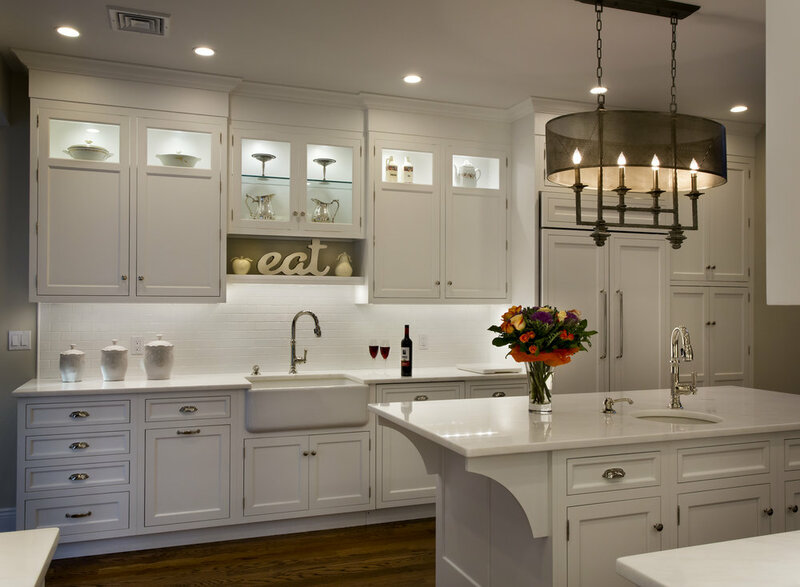 Home Remodeling & Design Blog - Long Island NYC Rutt Handcrafted Cabinetry Dealer. Cesar Italian Cabinetry Dealer. DuraSupreme Cabinetry Dealer. Cuisistock Cabinetry Dealer. The annual CES (Consumer Electronics Show) was held in January 2019 and we researched some of the most innovative home products introduced. According to the CES staff, there are three trends that are being followed. Simplicity in design and use. Less buttons. One location controls. Voice assistants. Comfort and security - being able to start appliances from your smart phone, security cameras and smart door bells/locks. Energy Management - Weather forecasts tied into utilities, electrical charging stations, solar panel and other innovations helping to reduce energy usage. The Sunflower Labs security system combines high-tech garden lights with a camera-equipped drone to patrol your yard.The drone is called the bee, and it lives in a hub station called the hive. The hive connects to your Wi-Fi router and keeps the app up to date. You'll set the hive in your yard, but it supposedly has a strong enough antenna to talk to your router. You'll also need to connect the hive to power, as it charges the drone. The Wellcam smart video camera connects to Wi-Fi, allowing Alarm.com subscribers to extend their security service into the homes of loved ones. It has a 180-degree field of view, 1080p resolution and the ability to make two-way audio calls. There's a call-out button on the Wellcam too for users to reach out for help. The Savvy Mirror is essentially a giant Android device on top of a mirror. The dual vanity model we checked out at CES 2019 has a screen above each sink. From there, you can add apps from the Google Play store, including your preferred voice assistant for information and assistance. The Altro Smart Lock combines a video doorbell and connected deadbolt controller into one handy security gadget. It links to phones and the cloud over Bluetooth and Wi-Fi. That lets you lock and unlock your front door remotely, or automatically when it detects your presence. For all of the new conveniences and capabilities that smart home products provide, one of the biggest annoyances is having to juggle a ton of different apps and constantly pull out your phone to control all of them. To solve this, the AtmosControl "smart home hub" acts like a universal remote, but with a simplified iPhone-like user interface. Thanks to Bosch's tiny projector, you could soon use your shelves to pick outfits, check the weather, organize your clothes for laundry day and more. The BML100PI projects images of buttons that you can touch. If you move your finger over the button, a photo diode picks up a reflection of your finger and registers it as a press. Have lots of money to burn, and crave a bathroom remodel that puts Google Assistant within easy access? Consider Kohler's smart bathroom collection. The line includes an intelligent toilet, a free-standing bath, a lighted mirror and a lighted three-piece vanity. All have accent lights you can control through voice commands put to Google Assistant. The U by Moen Smart Shower already works with Alexa. At CES 2019 though, Moen said it will bring Apple's Siri and Google Assistant on board too. Soon you'll be able to ask all three voice assistants to turn your shower on and off, plus set to your preferred water temperature. Now that's luxury. Somfy makes smart shade motors and a smart-home control platform to command them. Window shades can be set to gradually open, run on a schedule or be controlled via voice assistant. With Zigbee integration, you can also pair shades with other smart devices, like a smart plug, to automate both natural and artificial light together. The Scene Launcher device serves as a handy physical control point. With it installed, you can activate personalized scenes (and multiple devices) with one finger tap. Samsung's new WF45R6300AV smart washer and accompanying dryer will come with typical connected abilities. They'll communicate to phones via mobile app, for both status and control. More interesting is a Laundry Planner that lets you schedule your loads -- not when they begin, but when they'll end. Other app-centric features include Laundry Recipe, which lets you tell the app about the clothes you want to wash -- material, color, stain details, etc. From there, it'll recommend the best cycle for your load. At CES 2019, KitchenAid debuted the Cook Processor Connect. It's an all-in-one, small countertop appliance with a dozen capabilities including boiling, frying, steaming, stewing, kneading, chopping, mincing, pureeing, mixing, emulsifying, whipping and stirring. You can also download preset recipes straight to the Cook Processor Connect with Whirlpool's Yummly app. Keep an eye on your family with the new Leeo Nightlight. This refreshed model senses motion, listens out for smoke alarms, temperature and humidity. It'll push alerts to your phone if anything is amiss or communicate through discrete color-changing LEDs. If you hate folding laundry, the Foldimate might be your dream come true. 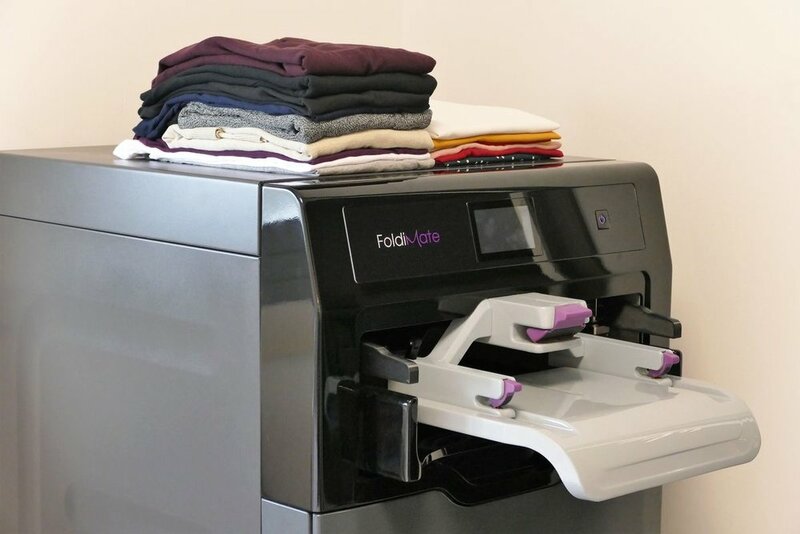 Looking like a printer, and about the size of a mini fridge, the Foldimate tackles shirts, pants and other standard laundry items. The Elecpro US:E is different than your standard smart lock. This model has a built-in camera with facial-recognition capabilities. With that it's supposed to be able to scan faces and compare them against a database you create of friends and family to decide if the door should be unlocked. Get alerts for home water leaks in real time with this $50 D-Link sensor. It talks to the cloud wirelessly and comes with a 6-foot probe. It's also battery-powered so you can deploy it in lots of spots around the house. 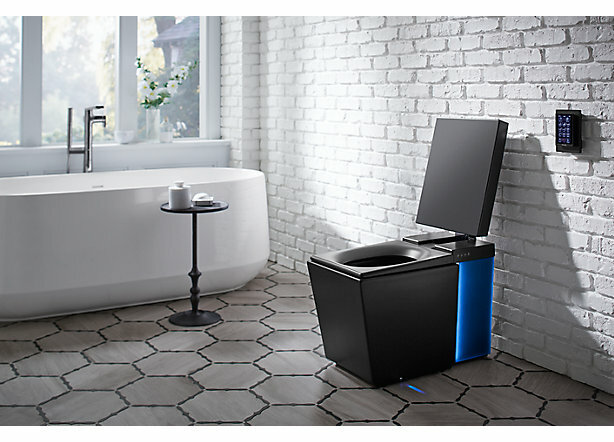 The Neorest NX2 intelligent toilet from plumbing giant Toto is a CES 2019 Innovation Awards Honoree. The company says the rounded toilet is inspired by the “beauty of pebbles shaped by water over time,” which seems like an odd place to draw inspiration for something you sit on and dispense of waste in, but sure. The toilet features high-tech sensors that can automatically open and close the lid and flush the water. There’s a personal cleansing system integrated into the device that uses warm water, an air dryer, heated seat, and in-bowl deodorizer to make the venture to the bathroom as comfortable as possible. The Neorest NX2 also uses Actilight bowl-cleaning technology that mists the toilet with electrolyzed water to remove waste. Yelena is from Russia and this is one of her family's favorite recipes. This hearty bread is baked to accompany soups, breakfast or lunch sandwiches. This bread takes 4-5 days of planning ahead of mealtime. Keep in mind that rye dough can be sticky & gooey. It is not necessary to keep adding more flour to eliminate the stickiness. Sticky dough is normal in this recipe. 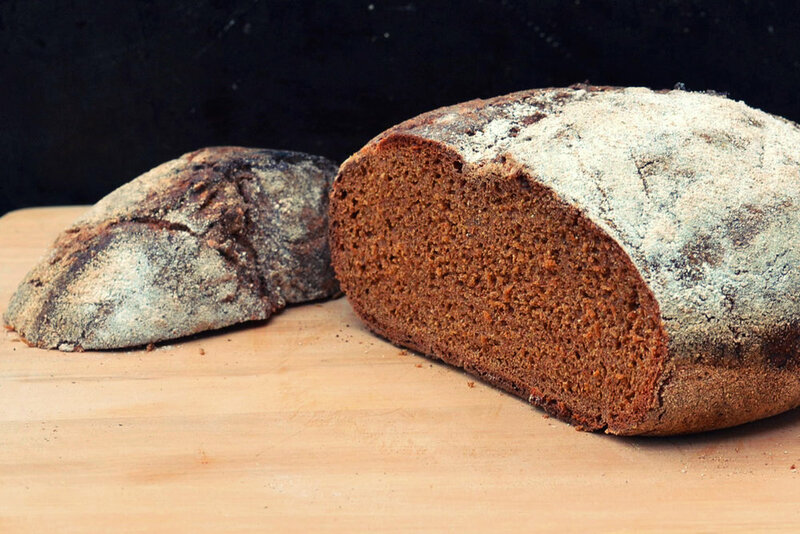 Rye Sour: Dissolve yeast in 1/2 cup water and blend in 3/4 cup rye flour. Stir in onion, cover with plastic wrap and set aside at room temperature. Let the sour rise and fall back. After this, stir the sour twice a day for three days. Remove onion and add remaining 1/2 cup water and remaining 3/4 cup rye flour. Cover and set aside. When the sour has risen and fallen once more (probably 1 more day), it is ready to use. Activate the Yeast: In a small bowl, combine 1/4 cup warm water, yeast, sugar and 1/4 cup of the all-purpose flour. Cover and set aside for 15 minutes or until bubbly. Make the Dough: Meanwhile, in a large bowl or the bowl of a stand mixer, combine the boiling water, pumpernickel, oil, salt, molasses, instant coffee and chocolate. When this has cooled, add the rye sour, yeast mixture, 2 cups medium rye flour and the remaining 4 1/4 cups all-purpose flour. Mix until dough comes away from the sides of the bowl, then knead 5 minutes. Let the dough rest, covered, for 5 minutes and then knead another 5 minutes. Lightly coat a large bowl with cooking spray and place the dough in it, turning once to oil the top. Cover and let rise until doubled. Probably about 8-9 hours. Punch down dough and divide in half. Shape each into a round or oblong loaf and place on a parchment-lined baking sheet sprinkled with cornmeal. Cover and let rise until doubled. Another 2-3 hours. you can also bake them in a Dutch Oven to hold a rounder shape. About 15 minutes before you want to bake, place a pan on the lowest rack of the oven for 2-3 cups of water to be added to create steam. Place another oven rack directly above it for the bread. Heat oven to 375 degrees. When ready to bake, slash the loaves with a bread-slashing tool or razor blade up to three times diagonally or once lengthwise and brush them with cold beaten egg whites. Bake 35-40 minutes or until your thermometer registers 195-200 degrees. Remove from oven and take out of pans. Let cool. Eating this Delicious bread warm could be gummy so be sure to let it cool well. ENJOY! Wow is this a big hit with our family! Meat filled potato pancakes have been served as a main course, side dish and appetizers at our family parties. We make them with ground pork or beef most of the time. You can make them with ground chicken, turkey , cheese, spinach or without filling of course. ½ lb ground pork, beef or your favorite filling. Experiment! Cook until golden brown. Turn and cook the other side until golden brown. Serve 14-16 delicious pancakes (with filling)! If you want to make 14-16 pancakes without filling, you can halve the recipe. Let us know how your recipe turns out! It is always curious how a design, color, style is so popular and suddenly a sign of the past. Several of the predictions for 2019 fall into this category. For instance, gray has been very popular for the last couple years and now is considered out of style. In reviewing several top design sites, these are the stand out features they agree on in their predictions. We will begin with a few "out of style" designs for 2019 and then move on to desirable trends for 2019. Industrial Kitchen & Elements - The more sterile look of industrial including big stainless hoods are out for 2019. Stainless steel is on the out. Still fairly popular but not the "go to"
Everything shiny & glossy in the kitchen. 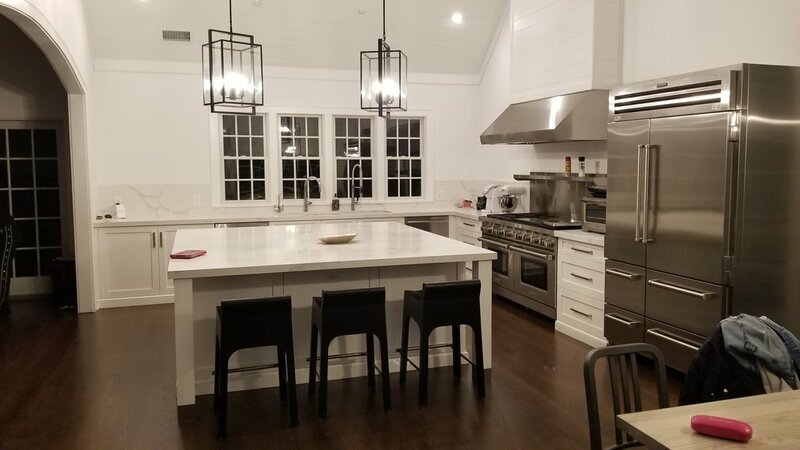 Matte Black - Whether it is matte black stainless appliances, or kitchen fixtures and hardware, black is the new fresh color. Matte black cabinetry is trending as well. You can add jewel colored lighting, wood or brighter colored counter tops to compliment the black features. Brass accents continue into 2019 but is now accompanied by black, pewter and copper. Mixed metal finishes is a popular design trend too. Marble as an artwork piece - bathroom walls, shower walls. The beginning of each new season always spurs a renewal of emotions, contemplation and a reflection of our lives. Recently, I have been contemplating how art has helped me transform my life and business. Art can bring a certain kind of excitement to your life. You can enjoy the wonders of paintings, poetry, music, dance.... My wife and I love the ballet and opera. We frequent Lincoln Center and enjoy many forms of dance and music. Sharing these cultural events together keeps our lives connected and fun. I was the President of The New York Virtuosi Chamber Symphony for 4 years. I was involved about 12 years total with my wife. We arranged concerts and had a grand time with the board members and musicians. The Board sourced guest violinists and pianists worldwide. We were afforded the honor to appear and have our Chamber Symphony play at the U.N. It was a special time of my life. Experiencing art in our everyday lives can bring our own creativity to the surface and affect our minds eye view. I don't know why it has this effect, but I do not need to know why. Art has helped me create beautiful homes for our clients. I am able to look at a room such as a kitchen and my mind can envision how to enhance it's beauty and function. Art keeps history close to us. It allows us to never forget the history of our world, culture and how we have evolved over the years. History through art affords us the opportunity to experience the trials, tribulations and rewards of our past. Michelangelo's artwork stirs my creativity. 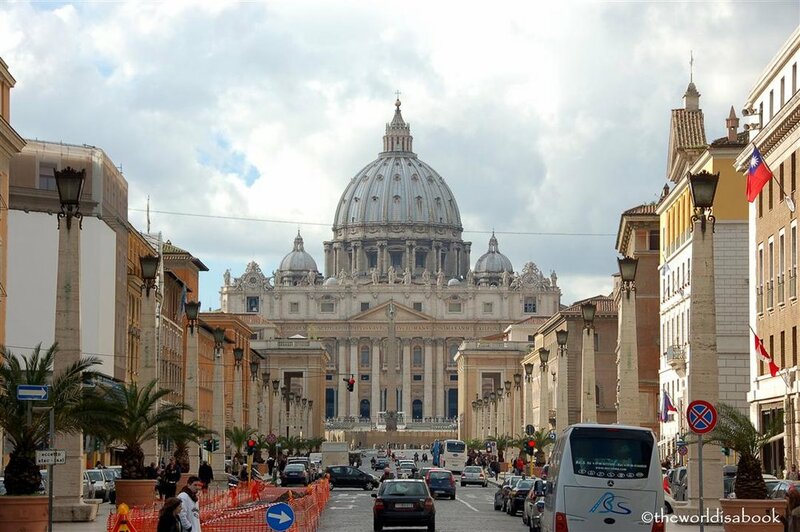 Michelangelo is known for his outstanding sculptures and paintings. He created Pietà when he was 24 years old and David when he was 28. 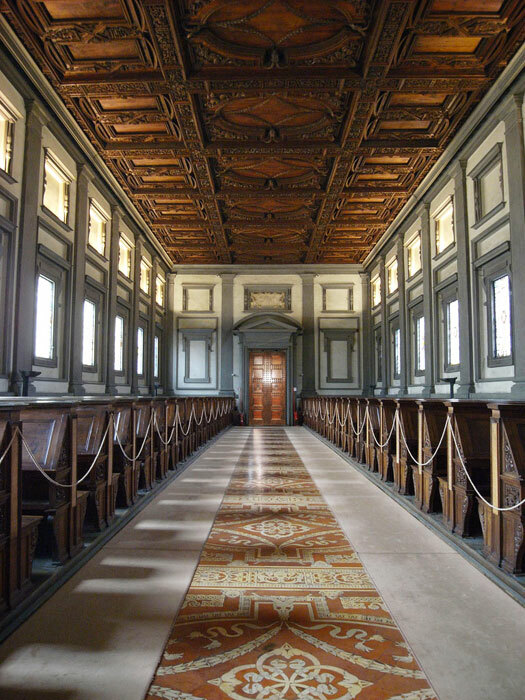 Yet, his architecture, such as the Laurentian Library and St. Peter’s Basilica sometimes take a back seat to his other art forms. I included pictures of his architectural achievements so you may appreciate its beauty. Perfectly named, framed cabinets are cabinets with a face frame that covers the front of the cabinet box. Framed cabinetry is used for traditional, transitional and inset cabinetry. There are three main styles. You can choose a full overlay style that covers most of the face frame with a small reveal around the doors. Partial overlay shows more of the frame and is usually a less expensive option. A very popular framed style is called inset. This is when the cabinet doors are recessed within the cabinet frame fully exposing the face frame . There are beaded and non-beaded inset options. Framed cabinetry advantages include a very sturdy box and ease of installation. If you like crown molding, it can be placed right onto the frame. There is however, less storage space (including the drawers) due to the frame. Most framed cabinets have a center stile which limits access as well. Some brands (like Rutt), you can eliminate the center stile up to a certain height cabinet. Before you or your client make a decision, the first consideration is what style you love. Definitely go in person to a showroom to view them side by side. If you have specialty items such as large plates or big pots, bring them. See how they fit and how you want to store and access them optimally. What do Homeowners Fear about Kitchen or Any Remodel Project? Yeheskel Sharbani grew up in Israel and came to the U.S. as a young man. Why is there such a big price difference amongst different kitchen cabinetry brands? Rutt Handcrafted Cabinetry - Luxurious cabinetry at it’s finest. Rutt takes the time and care to select each piece of wood at its prime.